We’re less than a month away from seeing Dragon Quest XI come to the PS4, but before that, we’re now getting some really cool reveals. This morning, Square Enix decided to give fans a little treat as they revealed an extra in the game that should make some longtime players very happy. 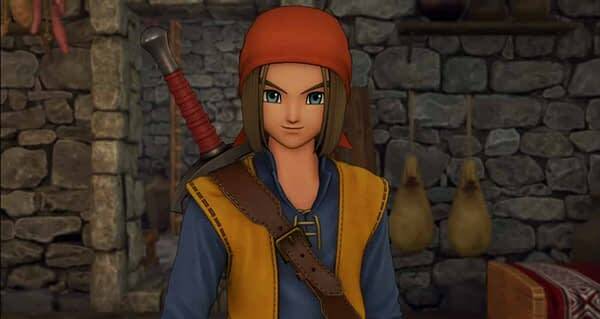 The company has added in a special costume that players can unlock in the game that might look a little familiar, as you can receive the Trodain Bandana and Trodain Togs from Dragon Quest VIII: Journey of the Cursed King. Here’s all the info Square Enix gave as to what it can do. The special costume can be equipped to boost defensive stats in the early portion of the game. Players will also receive a recipe book, “Trodain’s Top Trends,” which details how to improve the stats of the special costume in the later stages of the game. Unfortunately, they have no indication as to how you can unlock them in Dragon Quest XI. SO that part is all on you to figure out how to get your hands on them. You’ll be able to figure it out next month as the game will be released on the PS4 on September 4th.